Cardinal Dolan addresses active and retired New York City police officers, and their family and friends, at a Mass at St. Patrick’s Cathedral April 22. NYPD Commissioner James O’Neill is pictured at far left in front pew. The day marked the 100th annual Mass and Communion Breakfast of the NYPD’s Holy Name Society of Manhattan, Bronx and Staten Island. The Communion Breakfast followed at the New York Hilton Midtown. Assistant Chief Vincent Coogan, executive officer of the NYPD Transit Bureau, right, accepts the 2018 Man of the Year Award for the Holy Name Society of Manhattan, Bronx and Staten Island at the organization’s centennial Communion Breakfast April 22 at the New York Hilton Midtown in Manhattan. From left, NYPD Police Commissioner James O’Neill and NYPD Det. Robert Barrett, president of the Holy Name Society. More than 1,000 active and retired New York City police officers, and their families and friends, gathered to celebrate the 100th annual Mass and Communion Breakfast of the NYPD’s Holy Name Society of Manhattan, Bronx and Staten Island April 22. The Sunday festivities began with 8 a.m. Mass at St. Patrick’s Cathedral celebrated by Cardinal Dolan. Clergy who serve as chaplains to the NYPD concelebrated the liturgy. NYPD Commissioner James O’Neill and NYPD Chief of Department Terence Monahan were among the dignitaries in attendance. The Holy Name Society promotes respect for the Most Holy Name of God, faith in the Catholic Church and loyalty to one’s country and respect for all lawful authority, both civil and religious. Founded in 1914, it is reportedly the oldest and largest religious organization in the NYPD. The current president is NYPD Det. Robert Barrett. At the conclusion of the liturgy a colorful procession led by members of the NYPD Color Guard and NYPD Emerald Society marched from the cathedral to the nearby New York Hilton Midtown where the Holy Name Society’s annual breakfast was served. Various honorees were recognized at the lively and festive breakfast, including the Man of the Year which was awarded to Assistant Chief Vincent Coogan, executive officer of the NYPD Transit Bureau. Coogan, a Harlem native and a 37-year member of the NYPD, belongs to St. Patrick’s parish in Highland Mills. There he attends services with his wife of 35 years, Pat. They are the parents of two daughters. Larry Kudlow, an economist, television and radio host and most recently appointed director of the National Economic Council under President Donald Trump, was in attendance and recognized for his charitable contribution to the Holy Name Society. In his acceptance speech he was candid about how he found Catholicism after battling and overcoming substance abuse. He praised the NYPD for their work and vowed to always be a supporter of law enforcement. The day’s underlying theme was tradition and what seemed to be a common trait among the majority in attendance is that their practice of the faith was instilled at home at a young age. Mike Francesa, the famed New York sports radio talk show host, was one of the celebrity honorees at the centennial celebration. 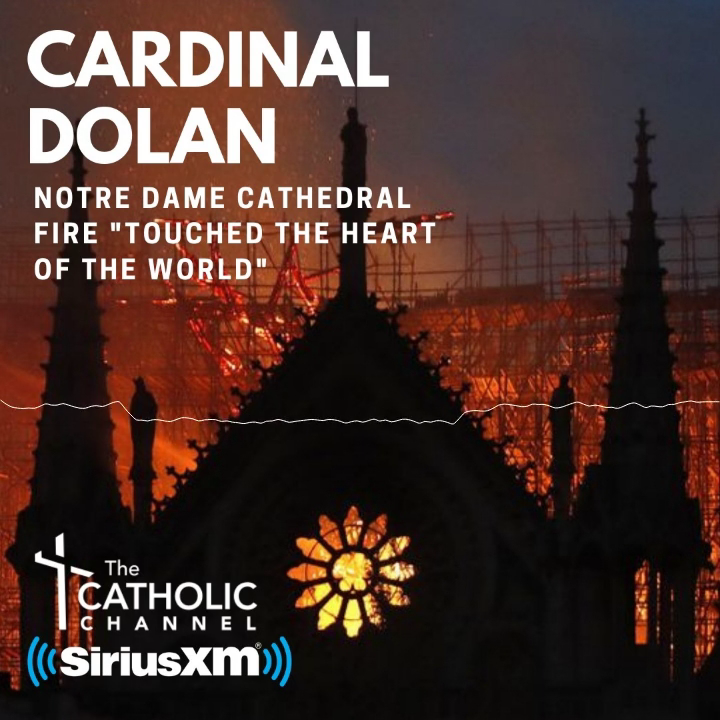 “It’s a nice event and to be asked to be a part of it is a great honor—not just because it’s the 100th anniversary, but because I’ve always had a connection with the police department and the fire department going back to the early days of the FAN (WFAN).” The veteran sports broadcaster is a product of Catholic education. Sgt. Joreyni Martinez of the 30th Precinct and a 10-year veteran of the police department, attended the Holy Name Society’s Mass and Communion breakfast for the first time.